A judge yesterday ordered strict curbs on a potential suicide bomber to be relaxed so he could enjoy a ‘normal social life’. 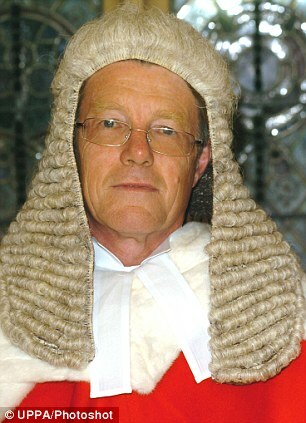 Mr Justice Wilkie said the alleged Al Qaeda fanatic ought to be able to mingle more freely with students at his university to avoid his ‘embarrassment and isolation’. The constraints on the 24-year-old Somali man – considered one of the country’s most dangerous terror suspects – were ‘chilling’ and ‘disproportionate’, he said. His High Court ruling ordering Home Secretary Theresa May to water down the restrictions deals a serious blow to the Government’s fight against terrorism. And it comes despite fears by the security services that the man – known as CF – will contact other Islamic extremists to plot attacks against Britain. The decision could lead to similar challenges by other terror suspects and may fuel concerns that the judiciary is chiselling away at measures to protect the UK from jihadists. ‘CF’ is one of nine people subject to Terrorism Prevention and Investigation Measures (TPIM) orders, introduced last year to restrict their movements, the use of computers and who they can meet. The suspect, who is thought to have tried to get to Afghanistan for terrorist training and of fighting for the feared al-Shabaab group in Somalia, is only allowed to mix with undergraduates when it is ‘exclusively for the purpose of studies’. But Mr Justice Wilkie said it was difficult for CF to avoid ‘informal social contact’ at lectures or the library. ‘They [the orders] must impose a chilling effect on CF’s participation in the life of a student on this course without any, apparent, beneficial effect on national security,’ he added. However, he threw out a bid by CF to own an MP3 player and have his curfew cut. In June last year, CF was charged with repeatedly breaking a strict ban on visiting the Olympic Games venue in Stratford, east London. He was not prosecuted. Tory MP Patrick Mercer said: ‘If this fellow was concerned about his social life then maybe he shouldn’t have been spending his time in Afghanistan and Somalia.